Keep them healthy & happy! Visit our store for some great products. Since 1997 A. 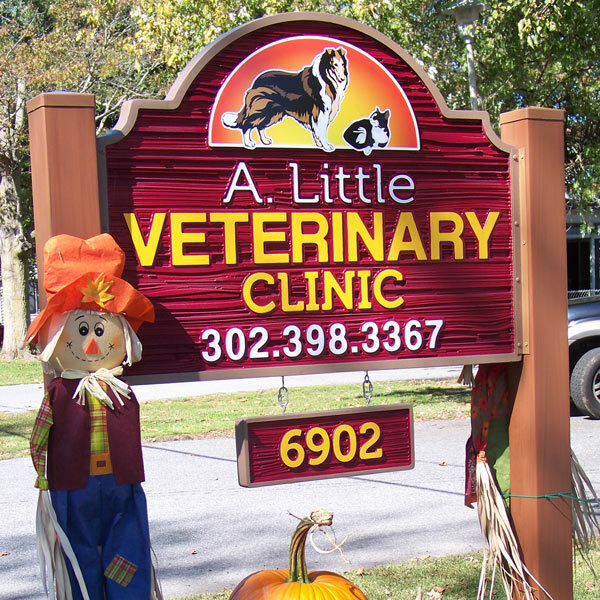 Little Veterinary Clinic has evolved into a three doctor practice specializing in small animal medicine, wellness services and elective procedures. We are proud of the high standards of care our hospital has provided to our clients thus far and are committed to many more years of outstanding service. We proudly serve both Kent and Sussex Delaware with compassionate, caring veterinarian services. Call us at (302) 398-3367 to schedule your appointment. Dr. Sharon Little, Dr. Sheryl Trivits, Dr. Christina Dayton and our staff look forward to seeing you in our office! Buy 6 doses of Frontline Plus and get 2 free single doses of the same size! This offer is for a limited time only so stop in today to purchase your flea and tick medications and any other year round preventions you may need. Dr. Christina Dayton will be a proprietor of All Creatures Veterinary Service, a subsidiary of A. Little Veterinary Clinic. To learn more, be sure to visit the All Creatures Veterinary Service section of our website or call (302) 258-8160.